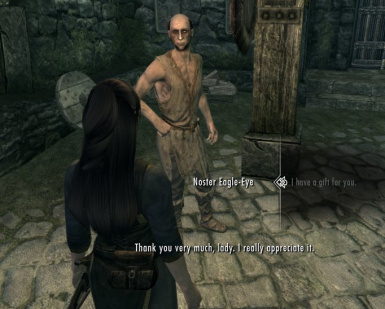 A simple mod that lets you give gifts to anyone in skyrim. 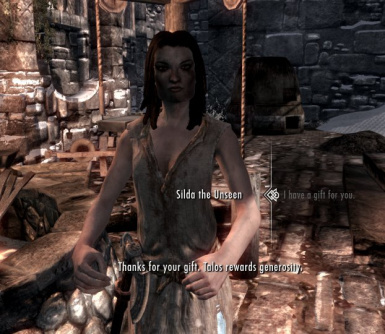 Have you ever wanted to show your generosity to someone in skyrim? Now you can. 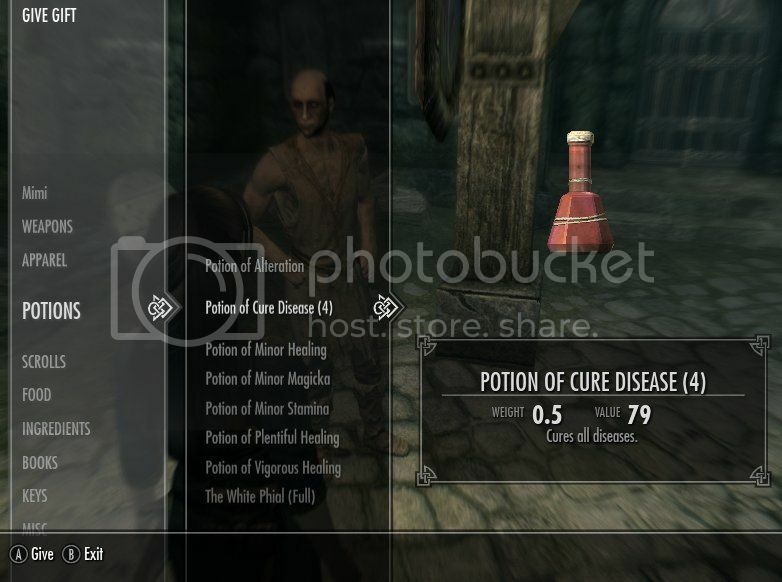 This is a simple mod that allows you to give gifts to anyone in skyrim. Just walk up to someone, and tell them you have a gift for them. Then the gift menu opens, and you choose what to give. They will thank you, and you will receive "the gift of charity" blessing. New Update - Give Gifts to NPCs Voiced Version 2.0! The default amount is 10 gold. * If you give gold to an NPC they will give you a flower in return as a token of their esteem. The voiced version of this mod is now available for download. * If you give Silda or a priest/ess of Talos a gift, you'll receive a small decrease in shout cooldown. - lortheim, and jora at the temple of Talos in Windhelm. * Added a small boost in speechcraft when giving a gift. player will become friends with the NPC they gave a gift to. Please download only one file! * Give a beggar some food or clothes. 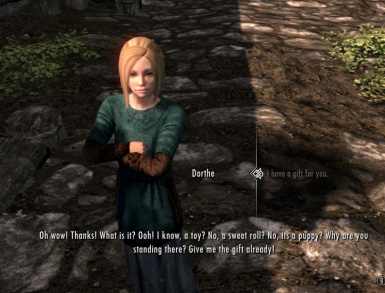 * Give a hearthfire child a doll or wooden sword to play with or a sweet roll. * Give your sweetie flowers and jewelry or a handmade piece of armor. * Give people junk you don't need. * Give people things you stole, so if you get thrown in jail, the guards won't take it. * Give people skooma to get them addicted (lol). 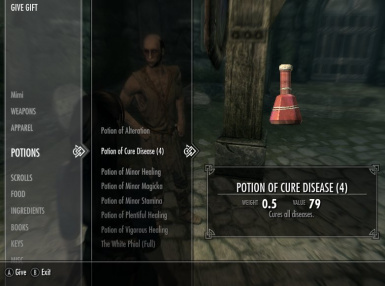 All you need to run this mod is a copy of skyrim. Extract the contents of the zip file into Skyrim's data folder. I made this for my own personal use. I always felt sorry for the beggars and the poor hearthfire kids.